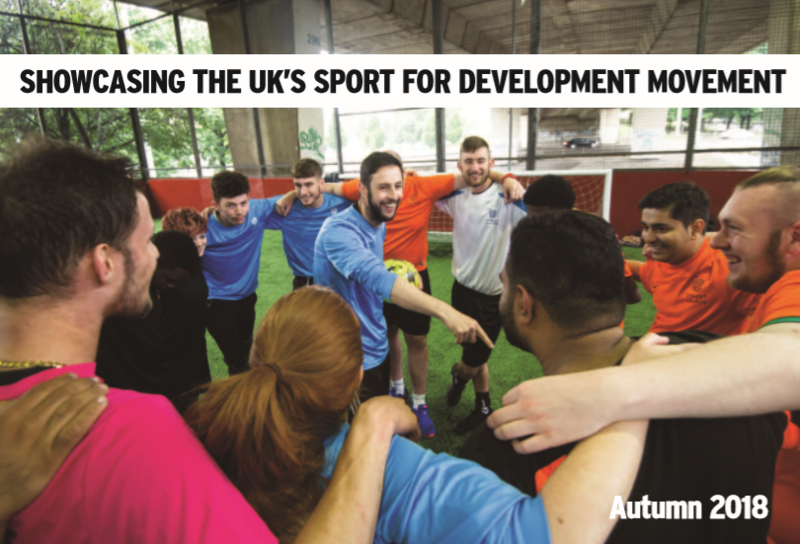 This is often referred to as 'sport for development' or 'sport for change', and ranges from improving physical health, mental wellbeing and social inclusion, to tackling crime and unemployment, or addressing diversity, inequality and discrimination. We deliberately aim to support groups who are often under-represented by mainstream media, for example women and girls, the BAME and LGBT communities, and disability sport. At ConnectSport, we believe sport has the power to enable significant positive change in society, a theory which is supported recently in the UK by the DCMS 'Sporting Future' strategy, and on a global level by the United Nations' Sustainable Development Goals. The ConnectSport directory is managed by experienced media executives whose aim is to increase awareness and investment in community sport by giving it the same profile afforded to elite sport. All profits received from advertising and sponsorship are used to help us tell more stories about this rapidly growing sector, and raise awareness of the brilliant work being carried out by staff and volunteers who often go unnoticed behind the scenes at clubs, charities and in communities across the regions. ConnectSport is proud to be the official media partner of the Sport for Development Coalition. The Coalition is a growing movement of charities, governing bodies, funders and delivery organisations who all believe in the power of sport and physical activity to act as effective tools for intervention when generating positive social outcomes. The Coalition aims to provide evidence of this, especially to other sectors - such as health, crime reduction or education - and to funders seeking more efficient tools solutions for society's biggest problems. It is funded and supported by Sport England, Comic Relief and the Laureus Sport for Good Foundation. Visit connectsport.co.uk/coalition. Call for articles - based on the theme of the month. Twitter takeover - featuring a guest organisation; usually staged on the last Monday of the month. Email hello@connectsport.co.uk or follow @ConnectSport on Twitter. Please note ConnectSport only showcases organisations and individuals committed to Sport for Development. Founder and Chief Executive Simon Lansley is a member of the Leadership Group of the UK Sport for Development Coalition, the International Sport for Development and Peace (SDP) group based in London and co-ordinated by Bond, and the Sports Journalists' Association national committee. He was previously Sports Editor and Editorial Director at the Press Association, the UK's national news agency, and Head of Marketing and Communications for Street League, a leading sport for employability charity. Chief Operating Officer Stefan Bonczoszek is Managing Director at Symposia Events, the specialists in online event and digital marketing. He has previously worked for EMAP, Glenigan and the Press Association where he was Commercial Director and Sales & Marketing Director. Head of Data and Insight Graham Newman has over 20 years' marketing experience (15 years in insight business and five in not-for-profit organisations) and worked for the Macular Society, 4C, Glenigan, GWE and Euromoney Institutional Investor.